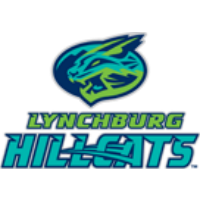 Despite a 2-0 lead, the Lynchburg Hillcats fell, 9-2, against the Wilmington Blue Rocks on Thursday night. The Hillcats (5-3, 34-41) and Blue Rocks (4-3, 35-42), have each won two games through the first four games of the series, setting up a rubber match in the five-game set on Friday. Down by a pair of runs, Wilmington sent ten hitters to the plate in a six-run sixth inning. Blake Perkins led off with a bunt single, and moved to third on a double by D.J. Burt. Gabriel Cancel followed by hitting a two-run single up the middle to tie the game. After Zach Plesac (Loss, 4-4) walked Travis Jones, he was removed from the game. Billy Strode took over out of Lynchburg’s bullpen, and picked up back-to-back strikeouts. After walking Rudy Martin to the load the bases, Strode hit Chase Vallot on an 0-2 pitch to bring home a run, giving the Blue Rocks a 3-2 lead. The next batter, Angelo Castellano, sliced a bases-clearing three-run tripe into the right field corner, extending Wilmington’s lead to 6-2. Prior to the sixth inning, Plesac had allowed just three hits through five scoreless innings, while striking out eight. Meibrys Viloria added another run on an RBI single in the seventh and the ‘Rocks scored two more in the ninth to further their lead. Both of Lynchburg’s runs came from Conner Capel, who hit two sacrifice fly’s in the first and sixth innings. Plesac was tagged for four earned runs on six hits in five innings. His eight strikeouts matched a career high. Strode allowed three runs in 1.2 innings and Anderson Polanco allowed two runs on three hits in 0.2 frames. Wilmington starter Gerson Garabito (Win, 3-6) fired seven innings and gave up two runs (one earned) on three hits. Vance Tatum pitched two scoreless out of the bullpen. The series concludes on Friday with the decisive game. Lynchburg will send right-hander Justin Garza (3-5, 4.23) to the hill, opposite of righty Nolan Watson (0-0, 11.25) for the Blue Rocks. First pitch is scheduled for 7:05 p.m. at Frawley Stadium. Max Gun will be on the air beginning at 6:55 p.m. with the Hillcats pregame show, on TuneIn Radio and Radio434.